The makers of Proactiv skin care realize that acne is no longer just a problem for pre-pubescents and teenagers. More and more adults are finding their way to dermatologists' offices for a solution. However, few people can afford those expensive visits. An at-home system was developed for those who want the results without the time and money spent on doctors' visits. Two Stanford trained dermatologists, Drs. Katie Rodan and Kathy Fields, noticed that most people simply spot-treat blemishes and breakouts after they occur. Thinking that prevention is a better approach, the doctors decided to create an entire system that treats the whole face and not just a symptom of acne. Together, they developed the Proactiv skin care line. The system treats existing acne, but it also proactively stops new blemishes from forming. The line not only has medicinal value, it also soothes the skin. Proactiv features botanicals that give skin that "fresh from the spa" feeling. This keeps people using it long enough to see results. Renewing Cleanser: Exfoliates skin and helps benzoyl peroxide access pores. Revitalizing Toner: Unplugs pores, helps exfoliate skin and removes excess oil. Repairing Lotion: Delivers microfine benzoyl peroxide pieces that work themselves deep into pores to prevent future breakouts. The three components should be used twice daily. However, if irritation is noticeable, begin using once a day or every other day. Because benzoyl peroxide may cause sun sensitivity, always wear sunscreen when outdoors. If excessive redness, burning, itching, or peeling occurs, or an allergic reaction develops, cut the amount of product used or stop completely. Proactiv can bleach carpets or clothing, so keep away from materials until the product has dried. The Oil Free Moisture has SPF 15 in it to protect skin from the sun's harmful rays. Additionally, it is an oil-free formula so it does not clog pores. The Daily Oil Control is a solution for people who need shine control all day long. It keeps makeup from streaking and stops pores from clogging. It keeps skin balanced, so it is not overly oily or dry. The Refining Mask is offered as a bonus. The six-percent sulfur mask removes dirt and other impurities. During infomercials, one or more of them are often quoted talking about the difference Proactiv made in their lives. They usually include a close-up facial photo from before the treatment to show how their skin has cleared up. Not only do celebrities endorse Proactiv, but "real" people do as well. In fact, anyone who has had success with the product is welcome to tell their story. 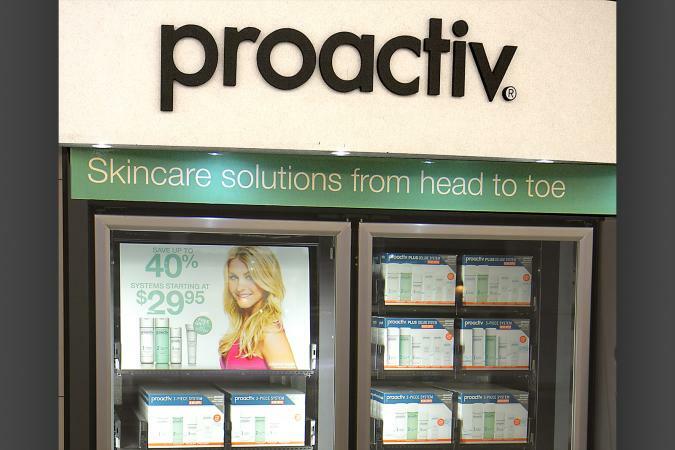 Men and women ranging in age from their teens to upper thirties and beyond have made progress in their fight against acne using Proactiv skin care. All of the photos, both "before" and "after," are un-retouched. Is Proactiv Right for You? Will Proactiv work for you? Many people have experienced success with this skin care system, but you won't know for sure if it will solve your skincare problems until you try it. Fortunately, the company offer a 60-day money back guarantee stated at the bottom of their home page. If you're not happy with the product, simply return the bottles to the company within the guarantee time limit and the full cost - including what you spend to ship the bottles back - will be refunded to you.